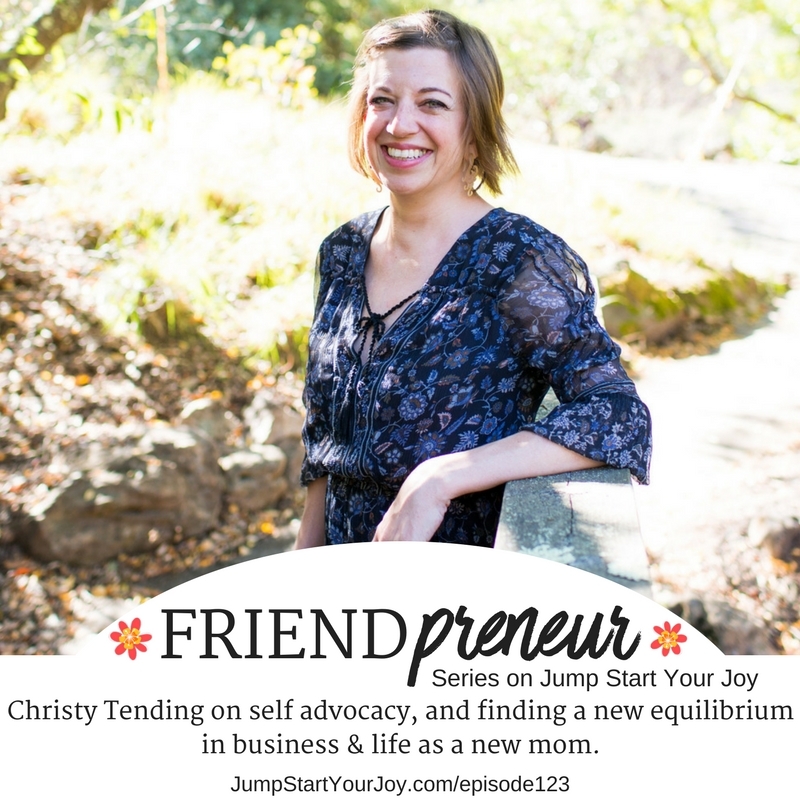 This week marks the introduction of a new series to Jump Start Your Joy: the Friend-preneur Series. The focus is conversations with friends, who are entrepreneurs. Many of the people are friends I’ve met either through the show (and have been on before!) or through contacts in coaching. I’ve found that starting and running a small business is something very new to many of us, who have grown up without examples of people who are entrepreneurs in our day-to-day. My intent with starting this series is to share friendly conversations about the realities of being an entrepreneur. 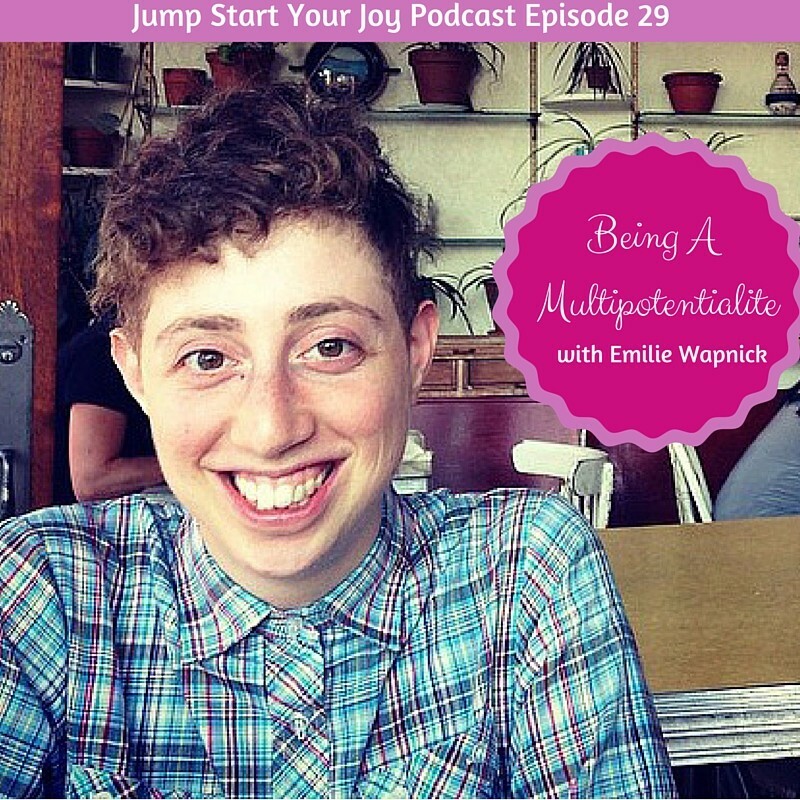 You’ll get a bit more of me as a participant (instead of being the interviewer, I aim for this to be more conversational), and hear how I’m approaching entrepreneurship while also being a mom, having a 9 to 5 job, and finding harmony. Christy joins me to talk about her business, and how it’s changed since she had her son about nine months ago. Our discussion starts with Christy reflecting on “how do I be a mom, and an activist, and run a business?” We are both moms (my son is now seven) and have a great back and forth on the topic of what shifts when you become a mom (and have a growing business), and how both things can challenge you to your core, and how both are an opportunity for an immense amount of personal growth.